Emergency Towing are experts in heavy duty towing. Anyone with a heavy vehicle like a truck, large 4X4, large pick-up-van, and building machinery know that when they need a tow, you really need to call an expert who knows how to handle such a heavy vehicle. Emergency Towing provides towing services through an affiliate network of independent tow truck operators. They have specially trained staff to deal with towing heavy machinery and heavy vehicles. They also have a range of tow truck to send to your location that can deal with any towing issue you may have. Our staff are aware of the dangers and pitfalls of towing heavy vehicles and take the utmost car when attaching your vehicle to our special tow trucks and ensuring that all goes smoothly. 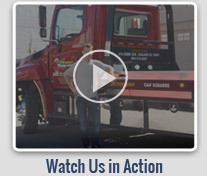 The most important thing to remember with heavy duty towing, is that you can not simply call any tow truck or tow truck driver to perform this service for you. But you have definitely come to the right place to receive high quality and professional heavy duty towing services for very reasonable prices. Emergency Towing is a reliable Towing vendor. We are available 24 hour a day, 7 days a week, 365 days a year. We have all the necessary equipments and tow trucks to offer you professional and reliable towing & off road services. 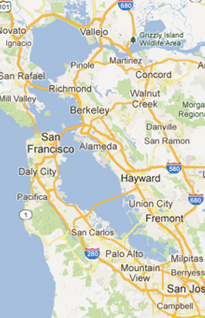 We deliver 24/7 service in San Francisco, San Jose and Oakland.